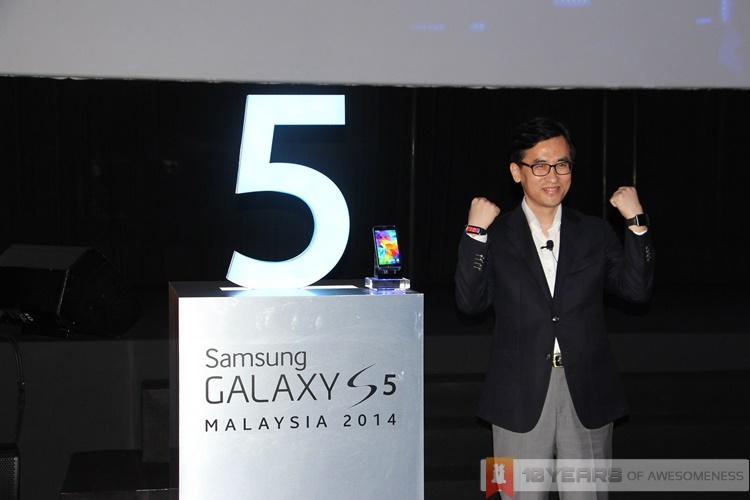 Samsung Malaysia has announced the arrival of its latest flagship Android smartphone, the Galaxy S5, in the country. 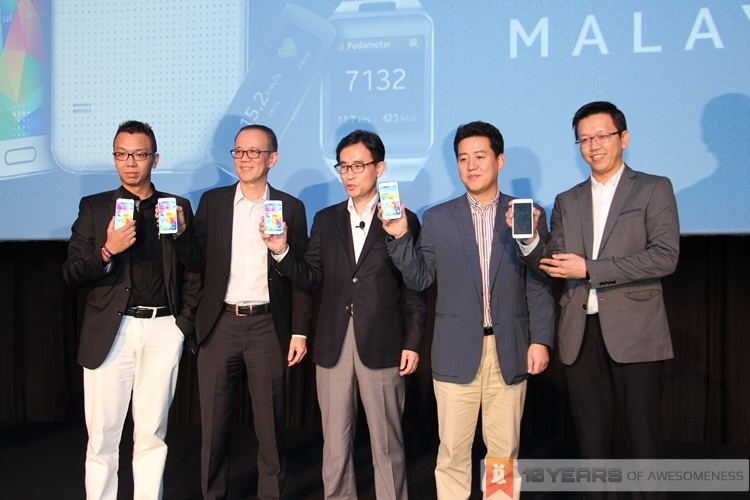 In addition, the company has also launched its latest generation of wearables: the Gear 2, Gear 2 Neo and Gear Fit. The new Samsung Galaxy S5 was only announced globally late last month at its Unpacked 2014 Episode 1 event in Barcelona, alongside the new wearables. As a flagship device, the Galaxy S5 features hardware specifications befitting a premium product: a Qualcomm Snapdragon 801 2.5GHz quad-core processor with 2GB of RAM, 16MP ISOCELL rear camera, 16GB of expandable storage, a 2800mAh battery and a new fingerprint scanner and heart rate monitor – all encased in a new chassis that is rated IP67 for dust and water resistance. In addition, Samsung has also updated its TouchWiz interface with a cleaner and less intrusive look. the new Galaxy S5 will also hold the record of being the world’s first smartphone to feature a heart rate sensor. Yup, there’s not just a fingerprint scanner, but also a heart rate monitor. Combined with the new S Health 3.0 app, as well as Samsung’s latest generation of wearables, Samsung promises the Galaxy S5 to be the perfect companion to your life. Moving on to another new aspect of the S5: the camera. As previously rumoured, the Galaxy S5 sports a new 16MP sensor, with a companion image processor to further boost imaging capabilities on the S5. The camera has a blazing fast autofocus speed of only 0.3 seconds, a new Selective Focus mode, and an improved Rich Tone (HDR) mode which is also available on video recording. Also a compelling new feature is the new software and hardware enhancements that help improve connectivity. The Galaxy S5 not only supports all LTE Cat 4 bands and the WiFi MIMO standard, Samsung’s flagship smartphone also features the Download Booster, which combines both WiFi and LTE connections for a single download; Samsung touts that with this feature, the Galaxy S5 can download a 1GB file in only 30 seconds. Then, there is the Ultra Power Saving Mode, which Samsung claims to “dramatically” increase battery life when you need it most. When switched on, the entire UI turns into a clean, black and white interface, and all unnecessary features are shut down to further minimize power consumption. 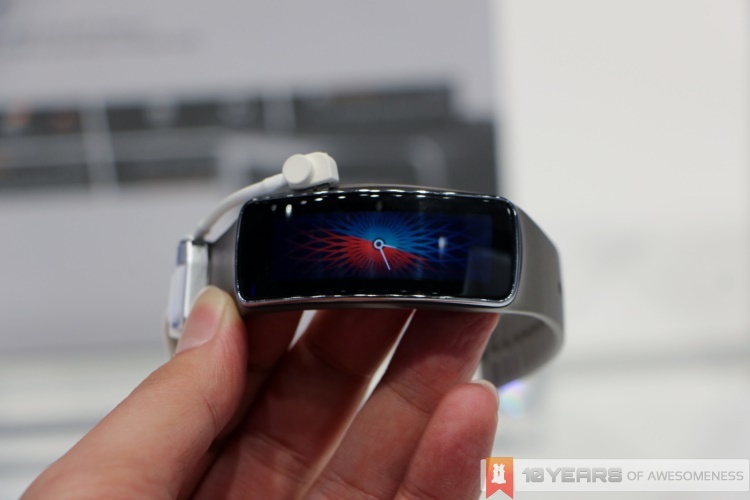 Besides the Galaxy S5, Samsung also launched its new wearables, the Gear 2 and Gear Fit. The Gear 2 is the next-generation smartwatch from Samsung, which builds upon and improves every aspect of the old Galaxy Gear. It’s now powered by a platform based on Tizen, the company’s in-house operating system, and as a result, the battery life of the Gear 2 has now been significantly improved. On the other hand, the Gear Fit is the company’s first venture into a smart band. It features a pedometer, heart rate sensor, connects to a compatible Galaxy device via Bluetooth 4.0, and sports a beautiful 1.84-inch curved AMOLED display. With active use, the Gear Fit can last for up to three days; Samsung states it can even last for up to five days with less activity. 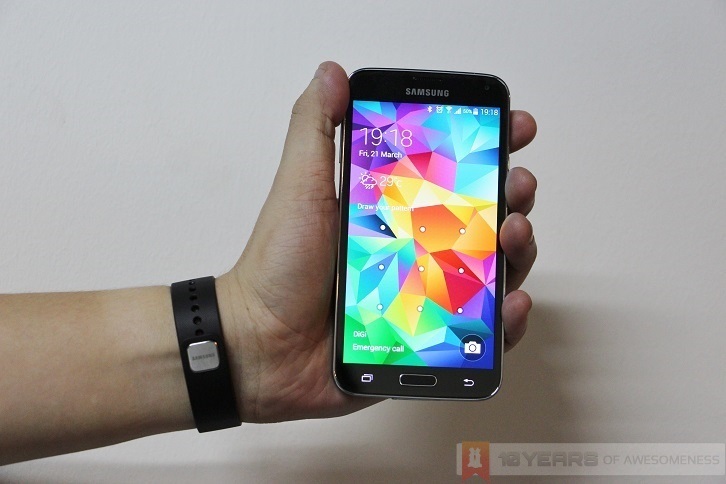 The Samsung Galaxy S5 will be available for pre-order from tomorrow (March 28), at a retail price of RM2399, and will be available nationwide from April 11. Unfortunately, the Galaxy S5 will only be available in Charcoal Black and Shimmery White for now; Samsung Malaysia will bring in the remaining two colours (Electric Blue and Copper Gold) at a later date. In addition, the Gear 2 will be retailing at RM899 in a choice of three colours: Charcoal Black, Gold Brown and Wild Orange. The Gear Fit on the other hand will be retailing at RM599. Both these wearables will be available nationwide from April 11. Those hoping to grab a Galaxy S5/Gear 2 or Fit bundle will be disappointed to know that there will not be a bundle offer by Samsung Malaysia.